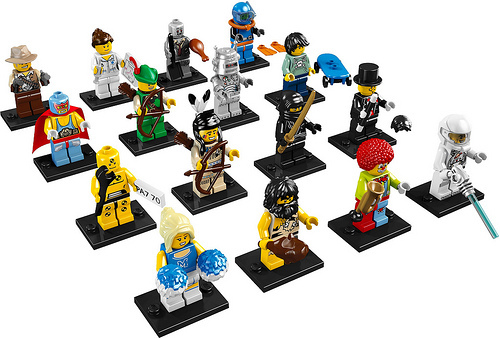 From the new LEGO Castle theme Kingdoms to World Racers and the much-anticipated Collectible Minifigures, all of the Summer 2010 LEGO sets are now available from the LEGO Shop online. In related news, the LEGO VIP Program now works with LEGO Shop orders, so you can help support LEGO fan sites you visit without worrying about losing points. You also earn DOUBLE VIP points at S@H right now! The collectible minifigs were already sold out when you posted it.. Lego should have made about 10 times as many so as to actually make them collectible. Got 2 cheerleaders, 2 ninjas, and a cowboy. So I was just at the Lego store and got told Sieries one was over, no longer available from Lego and the few spartan packs floating around other retailers were the end of the run. I think I had a chance to purchase these off the shelf about 3 times and allways in limited quantities. I Understand that these were allways meant to be collectables but if as an AFOL who will spend a great deal of time and money to pursue these can’t buy a complete set without resorting to Bricklink pricing I don’t know what less fanatical fans can do. Hopefully series two will have a larger print run.